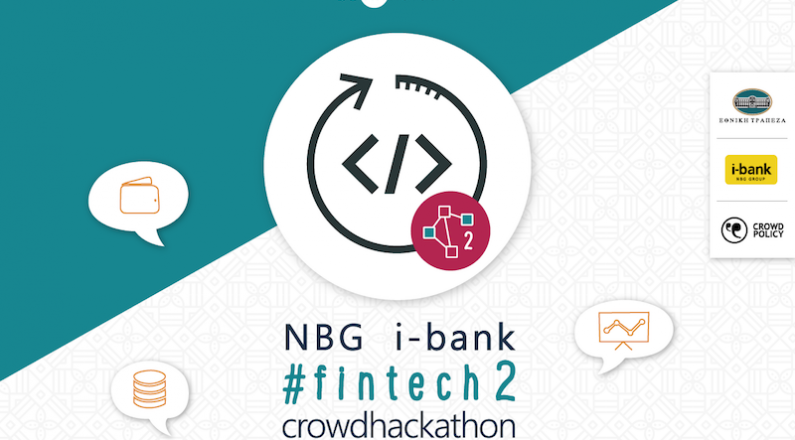 National Bank organizes the 2nd NBG i-bank #fintech crowdhackathon. In the framework of the innovation lab be the finnovative innovation lab. On the 20th, 21st and 22nd of October, the second development bank marathon, NBG i-bank #fintech 2 crowdhackathon, is set up on the development of fintech applications. The competition will be three-day and will include the real needs and areas of interest of NBG business units, but there is no strict limitation on the ideas that may be involved. NBG i-bank #fintech 2 crowdhackathon is organized by the National Bank, with the support of Crowdpolicy, within the framework of the Bank’s broader strategy of developing partnerships with new, innovative and creative companies and teams in the fintech business. The National Bank, under the umbrella of the fintech (www.befinnovative.com) business accelerator, creates an innovative workshop focused on experimenting and exploring the development of modern applications and services. The goal of be finnovative innovation lab is to support fintech companies and companies in their support, business empowerment and acceleration and the creation of commercial partnerships. In addition, a new modern venue was set up in the National Bank of Greece building in Piraeus 74, in order to accommodate all actions and initiatives of be finnovative innovation lab. The National Bank with the innovation lab be finnovative innovation lab wants to support initiatives, groups and companies in Fintech and help them grow, boosting innovation and entrepreneurship. At the same time, with the actions mentioned, the conditions for the Bank’s systematic co-operation with companies in the field of fintech are created, aiming at the creation of new modern products and services that the Bank can offer to its customers.